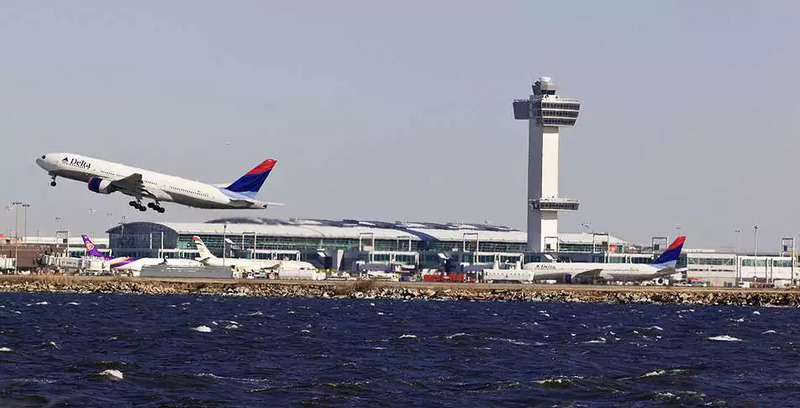 A Boeing 767 Delta flight at takeoff, JFK Airport, Jamaica, Queens, NY, circa 2011. (http://panynj.gov). I am now three full decades removed from Moving Day 1987, the final Wednesday in August, when I moved for my freshman year of college to Pittsburgh. I was leaving Mount Vernon and 616, but neither would begin to leave me, at least for another year or so. It was a day of days. But really, it wasn’t the hardest leaving day I faced. In the summers I’d come home to work and watch after my younger siblings, the end of those Augusts were tearful ones. I played music for me and my siblings to sing to before I left at the end of the summer of ’88. I added an extra week to my stay in 1990, just so I could spend extra time with Maurice, Yiscoc, Sarai, and Eri, teaching them how to ride a bike and how to tie their shoes, and missed a week’s worth of classes at Pitt to start the fall. Even in ’92, when I came back to 616 to work for two months that summer at Westchester County Department of Community Mental Health because I couldn’t find a teaching gig at Pitt, I stayed an extra week. That was my life outside of college, grad school, and Pittsburgh for a good decade after my first trip to Pittsburgh. It got easier to leave as my life became about working, teaching, dating, and writing, but leaving was always hard. My hardest leaving day was in late-August 1989. After a full summer of work, between two jobs, the end of my Mom’s marriage (finally! ), my older brother Darren moving out, and my schedule of activities with the younger Gang of Four, I saw going back to the University of Pittsburgh for my third year as a vacation. But it wasn’t going to be one for Mom. She would be completely on her own with my younger siblings for the first time once I left. And I knew the thought of being with them without any help, or least, without any enemies at 616 to war against (like my idiot ex-stepfather Maurice) terrified her. I stayed an extra five days before leaving on August 30, because Mom still had two weekends of summer courses left to finish at Westchester Business institute. Mom made the decision to not finish up her business law and accounting classes that session the Saturday before I left. She said to me, “Go on to Pittsburgh, Donald. I’ll be all right.” It didn’t make sense to me. She had an A in the business law class, and likely could’ve talked with her instructor about taking an incomplete and then the final exam once my siblings started school after Labor Day. I said as much, but Mom, per usual, didn’t listen to me. She ended up with a D in the business law course, and an F, of course, in the accounting class. Mom wouldn’t return to Westchester Business Institute to finish up her associate’s degree until January 1996. I felt guilty at the time that I put my own education over my Mom’s. I felt guilty that I couldn’t help out more. Mostly, I felt guilty that despite what I saw back then as “my responsibilities to the family,” I wanted to leave, and part of me wanted to stay gone. I didn’t want to come home for Christmas, my birthday, and New Year’s every single holiday season. 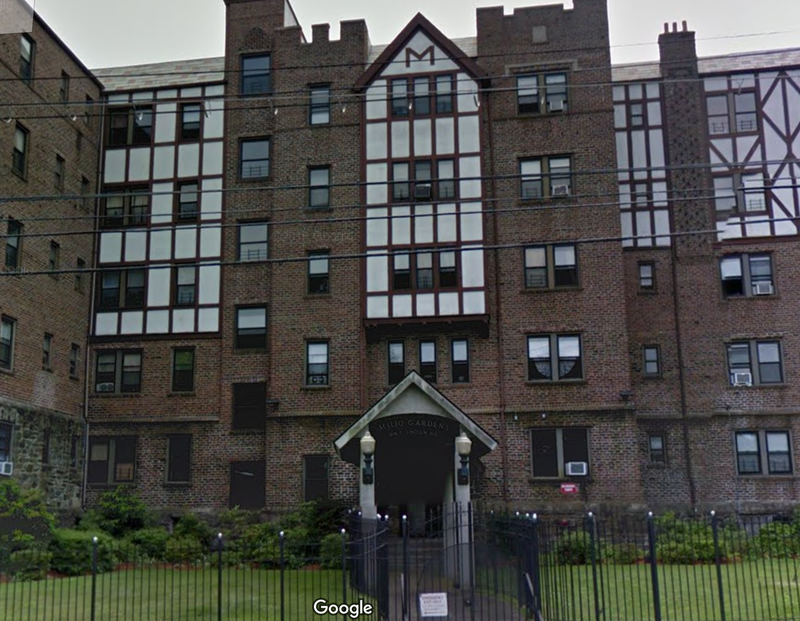 I didn’t want to spend my summers living at 616 while working in Mount Vernon or White Plains. And though I wanted to help the Gang of Four out as much as I could, I would’ve preferred bringing them to Pittsburgh, and not going back to Mount Vernon over and over again. Looking back, though, I realized the truth. Mom really didn’t enjoy school. Mom decided to go to Westchester Business Institute because I was in college. And as a professor who has taught hundreds of adult learners (students twenty-five and sometimes much older), I know that earning a degree with your kids can be a great motivator for enrolling in higher ed. It just can’t be the only motivator. At some point, it has to be about more than a friendly familial competition or even about using the degree to earn a few extra dollars. It has to be about improving yourself and the people around you. Mom wasn’t ready to juggle that burden, and likely had gone through too much that summer to spend another fifteen months in school while also watching after my younger siblings. Boy, it was hard to leave that last Wednesday in August ’89. I was nervous for Mom, sad for my siblings, and maybe even a little angry with Mom and God about the impossible choice I thought I had made at the time. But I reminded myself that I wouldn’t be any good to anyone if I couldn’t finish my degree and use it to help others. I reminded myself that I was still only nineteen years old, that, my outward maturity and 616 aside, I still had a lot to learn about life. 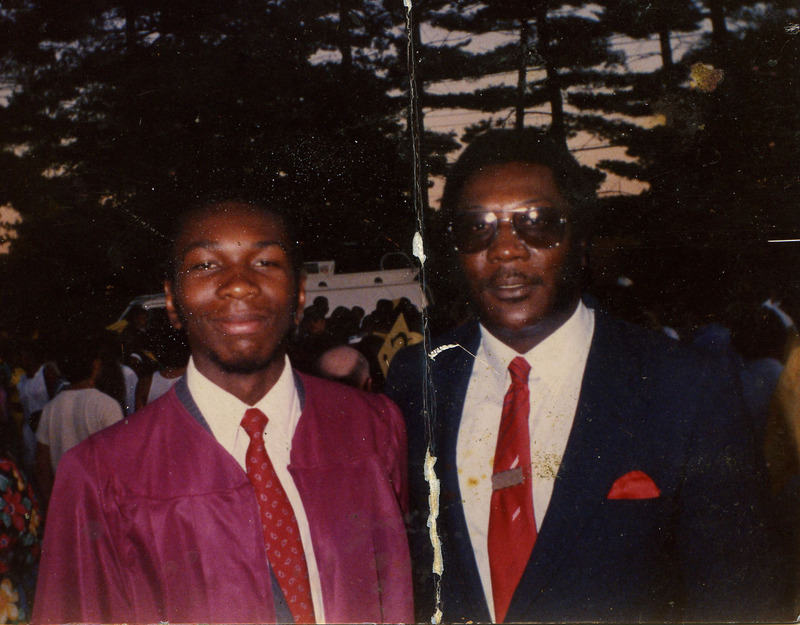 Me and My Uncle Sam, June 18, 1987. (Donald Earl Collins). Today’s date marks a quarter-century since my Class of ’87 marched and graduated from Mount Vernon High School at Mount Vernon’s Memorial Field (see my post “It’s Been Twenty Years…” from June ’07). I guess that the seventeen-year-old version of me would look at me now and say, “Boy you’re old! What happened to you?” And the current me would say, “Life, you pathetic dufus!” in response. I write this today a tired professor, educator and consultant. Tired from a week of scoring AP World History exams, grading students’ papers from my survey-level US History course, traveling to and from Salt Lake City. Tired from the vicissitudes of life, marriage and parenthood. At least, that’s how I feel sometimes. Most of the time, though, I feel like the person I’ve been for the past twenty-four years, someone who has a real bright present and even brighter future, regardless of how things may look from day-to-day or moment to moment. That was and wasn’t the case twenty-five years ago. I really only had about three or four things on my mind on that hot and sticky 87-degree Thursday evening. One was about my family. Good, bad, and ugly all at once. My Mom, my idiot stepfather Maurice, my older brother Darren, and all of my younger siblings, and all going to my graduation. Getting myself and my younger brothers and sister ready was no easy task, especially without air conditioning. Then, my Uncle Sam showed up, a pleasant and unexpected surprise. I hadn’t seen him since October ’84, at the one-time book store on Gramatan Avenue, where I used to buy all of my Barron’s test-prep books for the New York State Regents Exams, SAT, and AP exams. That was the only time I’d seen my mother’s brother since the picnic to end all picnic’s in August ’83 (see my post “Good Times, Good Times…Not” from August ’09). He still looked larger than life, all six-four and 240 of him, despite his bum knees. 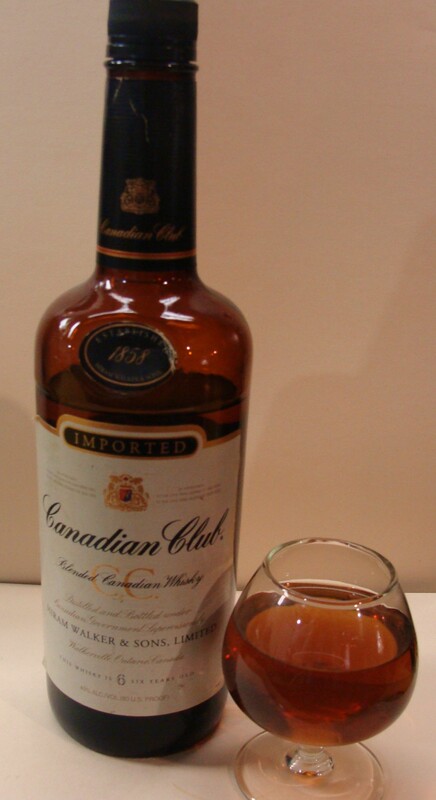 Canadian Club bottle and goblet, February 12, 2011. (Craig L. Duncan via Wikipedia). In public domain. My father Jimme was supposed to show up at 616 before we all left for the ceremony. And he did, just as I was about to pile into a cab with Mom, my sister Sarai, and Uncle Sam. Jimme was three sheets to the wind, liquored up real good, to celebrate my graduation. “Oh no!,” I thought, pretty much keeping my distance from him the entire evening. I already knew that Jimme would embarrass the hell out of me and Mom, not to mention any parent who talked with him. But the thought that has stayed with me over the years wasn’t something that I was fully conscious of that day, given all of the excitement that was and is a high school graduation. It had been in my head for more than five years. See, despite having erased much of the stigma that was me being me at twelve in 7S and at 616, I knew that I could never fully be the person I knew I could be while living in Mount Vernon. People think I’m weird now, but at least I know what it is about me that makes some dumb asses act that way about me. The dumb asses who thought that “book learnin'” and listening to “White music” was wack back then were too numerous and too vocal for me to avoid. Especially since some of them were at 616 or my parents. 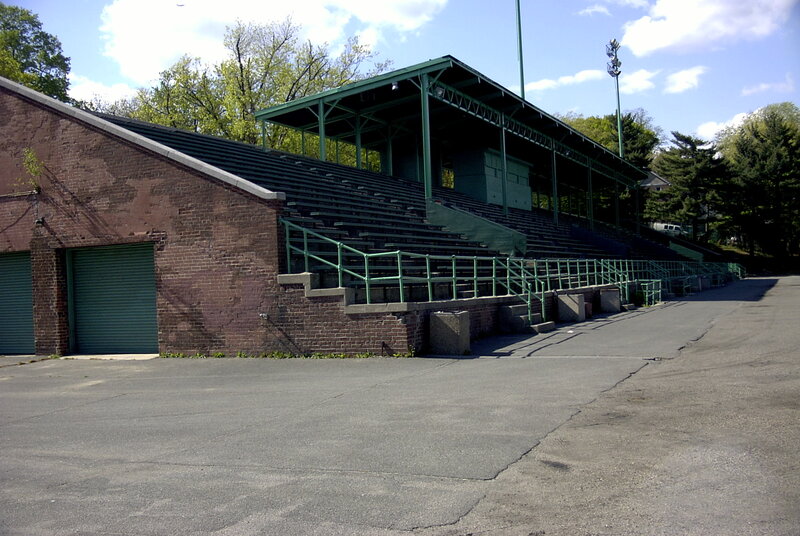 Grandstand at Memorial Field, Mount Vernon, NY, November 28, 2007. (Anthony22 via Wikipedia). In public domain. I knew that I had to leave. That’s what I thought about the entire walk home from Memorial Field. And I did walk, alright, for a full hour afterward. If I could’ve, I would’ve walked all the way to Pittsburgh that night, as I knew it wouldn’t get any better for me in Mount Vernon than a high school graduation. I’d already left my first hometown, at least in my head. It would take another fifteen months to confirm it. When my wife came to Mount Vernon with me for the first time during Christmas ’99, we walked through downtown and The Avenue. After ten minutes, she asked, “Are you sure you weren’t adopted?” Sometimes, looking back, I ask myself the same question. My years as a full-fledged adult now number twenty-two. On this day and date, I left 616, Humanities, MVHS, Mount Vernon public schools, Mount Vernon and NYC behind for the first time. 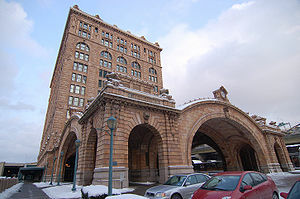 Even though I’d call New York City and Grand Central Station “the third armpit of hell” for the next seven years, I had plenty of times during my undergraduate days in which I missed the sights and smells of New York, the constant buzz. Not to mention quality deli meats, good pizza, Clover Donuts, the noise of Subway cars and Metro-North trains. But from the moment I started getting ready, truly ready to go, I had already left these things behind. It was the last Wednesday in August when I took my five suitcases, Army bag, and two boxes by cab from 616 to 241st. But not before a long and tearful good-bye with my mother, Eri, Sarai, and Maurice. Yiscoc didn’t wake up to say good-bye until I was practically out the door. My stepfather insisted on giving me an extra fifty dollars for my college journey. I thought for a second about turning it down, and decided against it. “This was the least he owed me,” I thought. I felt bad about leaving, especially for Eri, who was just a little more than three years old. Darren and I took my stuff downstairs to the Reliable Taxi cab at five in the morning, got to the Subway stop and met Jimme there. We quietly rode the train to Penn Station on West 34th, where I’d catch the 7:50 am Amtrak for Pittsburgh. Once it was time to catch the train, Darren and Jimme helped with getting all of my stuff on the train, most of which I half-realized I probably wouldn’t need. We hugged, and Jimme actually teared up. This was the second time in a row I’d seen him sober, and he seemed happy for me. The train ride to Pittsburgh was much longer than I expected. My assumption was that since Philly and Pittsburgh were in the same state that the ride wouldn’t last more than a couple of hours. What I didn’t know was that once we pulled into the City of Brotherly Love that the engineers would have to uncouple the electric engine and connect a diesel one. What I didn’t know was that the trip across the state of Pennsylvania was a long and windy one, with hills and mountains, small towns and tunnels. What I didn’t know was that there would be a boring recording describing the construction of track through the Allegheny Mountains which led to the creation of Horseshoe Lake. I took two naps, listened to five tapes, and with all of that, still had an hour and a half to spare. I ended up talking with a young Catholic priest during that time about the nuances of Christian faith and how Christians often misapply their faith in secular situations. We pulled in about thirty minutes late, just before 5 pm. I immediately found a phone book and called for a Yellow Cab. I waited, and waited, and waited, all while about six cabs came up and picked up other passengers from my train. I looked at the downtown skyline and thought, “It doesn’t look like a hick town so far.” Yet the cab drivers sure acted like it was. They refused to make eye contact with me, much less pick me up. After an hour, I called Yellow Cab again, this time threatening them with a lawsuit. “If I don’t see a cab real soon, I’m contacting the NAACP and filing a discrimination lawsuit!,” I yelled to the dispatcher over the phone. Within three minutes I got my taxi. I was already beginning to think that Pittsburgh wasn’t my best choice for pursuing higher education. My first drive through the heart of Pittsburgh reminded me of what people had been saying for years about New York and how great it was. Once we passed through downtown, which took less time than driving through Mount Vernon, we went through these decidedly working-class neighborhoods and Black communities that looked at least they belonged in South Side Mount Vernon. Then we reached the Oakland section of the ’Burgh. School buildings, college dorms that looked like silos, shops and restaurants abounded. 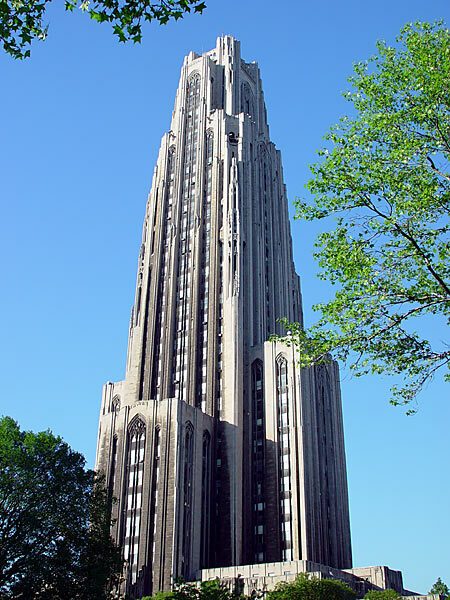 Just before we turned left off of Forbes Avenue, I saw it, the Cathedral of Learning, for the first time. I was starting to feel better about my decision. The driver turned left again, off Atwood and onto Fifth Avenue, then a right onto Lothrop, where, of course, Lothrop Hall was. It was an eleven-story dirty uranium-brown building, where years of coke soot had built up. There were few students or staff around. I went through security, using my high school ID for the last time, and the guard gave me a temporary dorm pass that I could use until I got my Pitt ID. My dorm room was on the third floor. It overlooked a drab and empty yet clean courtyard. I was lucky, since there was a good chance I might’ve ended up with a roommate. The dorm rooms at Lothrop went to one student apiece. I was so exhausted from all of the emotions and stresses of the day. I grabbed some junk food from the vending machine in the lobby, called my mother to tell her I was fine, somehow found the Mets game on my portable radio, and fell asleep in my twin bed. Despite all that had happened at 616, in Humanities, MVHS and in Mount Vernon, I was homesick the last third of the semester. Not homesick because I missed having my ex-stepfather say, “take that base out of ya voice before I cave ya chest in.” Not homesick because I missed spending my Friday evenings and Saturdays tracking down Jimme at some dive in the Bronx or in Manhattan. I think that I was homesick because I was still reeling from crush #2, which made me realize that I never really had a home in the first place. It took me a bit longer — about a year or so — to realize that despite the ‘Burgh’s lack of almost anything I’d normally describe as city or city-suburban life, I could still make the place my home. At the very least, the University of Pittsburgh was relatively more diverse, urban, and exciting than compared to the rest of the area. That was the reason I was there, after all. Still, I gave myself the room necessary to criticize the university and the city when I saw fit. But I also took time to look around, to see that whatever else was or wasn’t going on, I was in charge of my life now, and safe from the slights, hurts and abuses of my past.